Why Do Buddhists Join Their Hands in Prayer? The Five-Story Pagoda was built in 1749 during the time of 31st High Priest Nichiin. 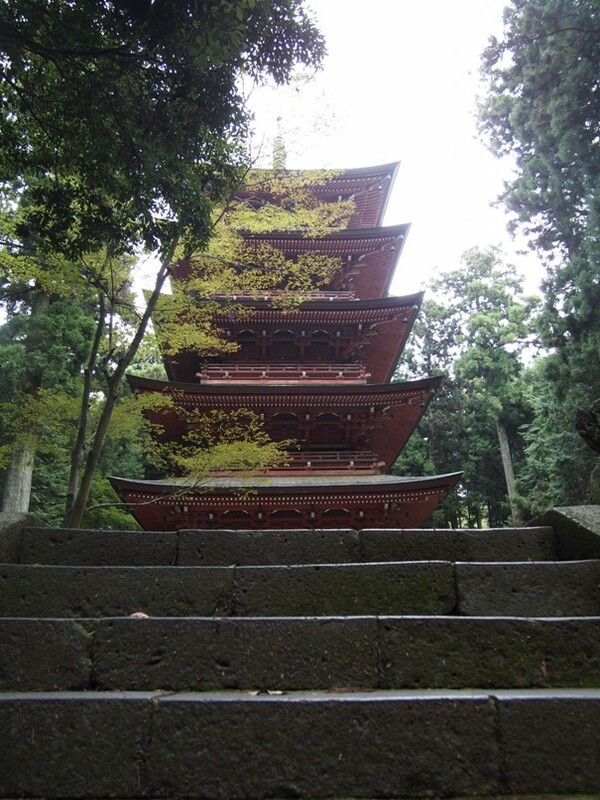 The Five-Story Pagoda indicates the five characters of Myoho-Renge-Kyo and the five elements, which are the substance of life and the universe itself. 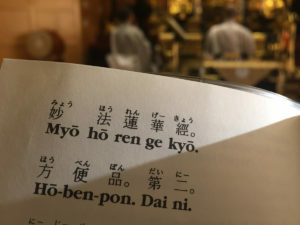 The Gohonzon is enshrined in the center of the pagoda, indicating that the core of one’s life and the Law are the same as Nichiren Daishonin’s life, or the true entity of the Law, Nam-Myoho-Renge-Kyo. 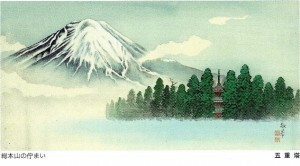 For this reason, Nichiren Shoshu regards the Daishonin’s birthday as the date of the appearance in this world of the Gohonzon or Treasure Tower, and this is the reason the Otanjo-e ceremony (Nichiren Daishonin’s Birthday) is conducted at the Five-Story Pagoda. The main door of the pagoda faces west, in contrast to all other Japanese five-story pagodas, which face south, showing that the Daishonin’s Buddhism will spread to the west, like the sun, which moves from east to west and illuminates the entire world. Reference: Nichiren Shoshu Ceremonies, pages 11-18. 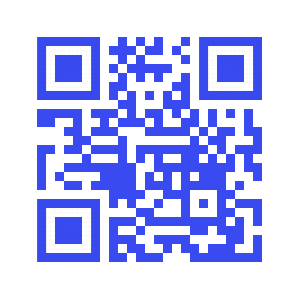 Open your camera, point at the QR code and a link to our web site will pop up. 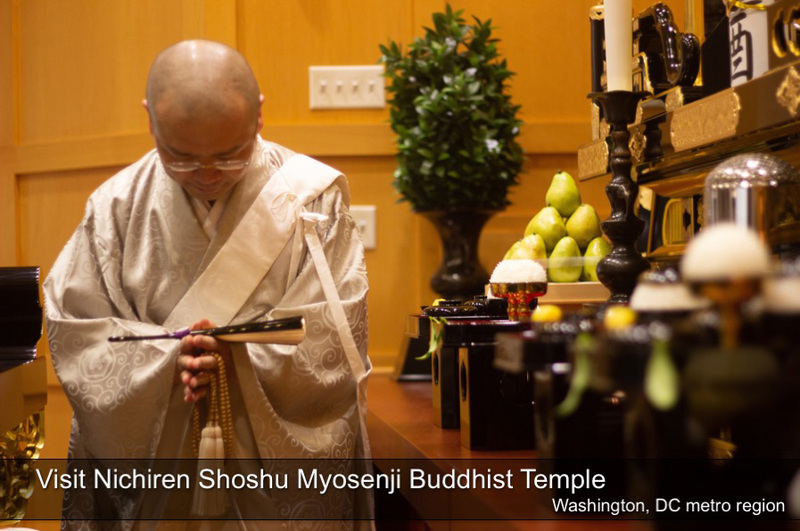 Our Temple uses text alerts to notify guests and Myosenji Buddhists about our ceremonies and events. 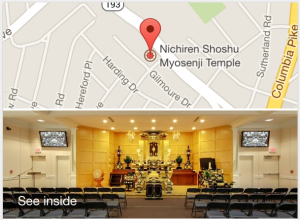 Signup here to for Myosenji Temple TEXT Alerts. Enter your email address. Hit Subscribe button. Each month thousands of people who see this page decide to learn more about Buddhism. Subscribe! Virtual Tour -- See Inside!